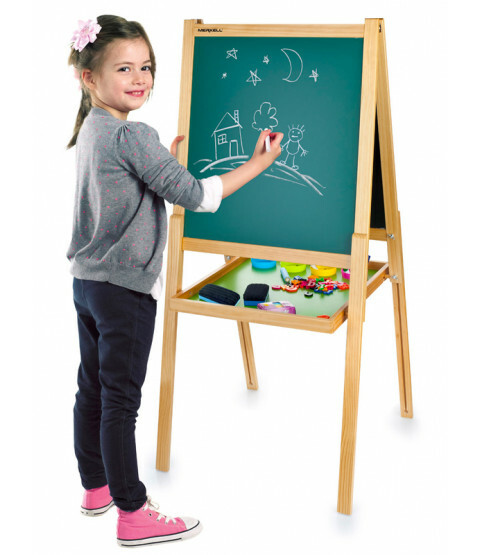 This double sided easel is great for bringing out your little one's creative side as well as adding some fun to literacy and numeracy. 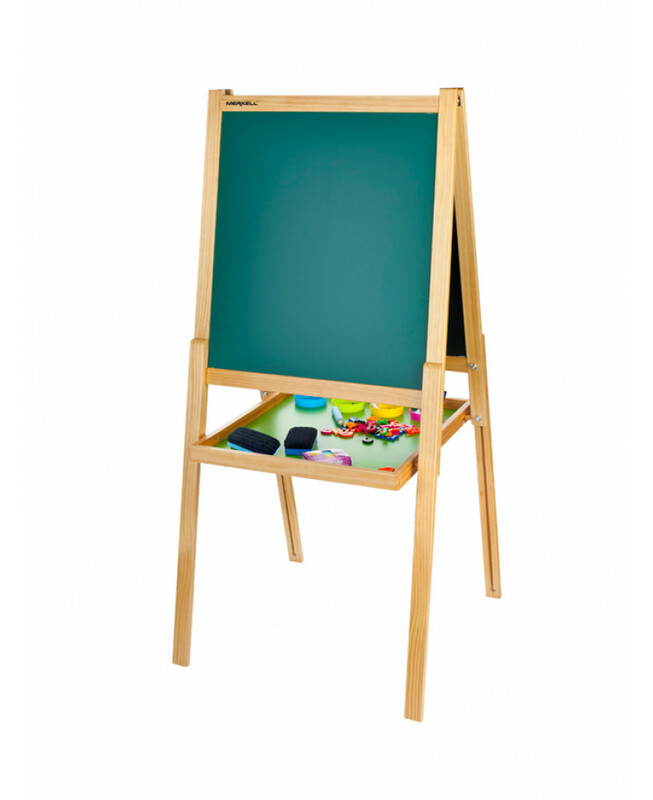 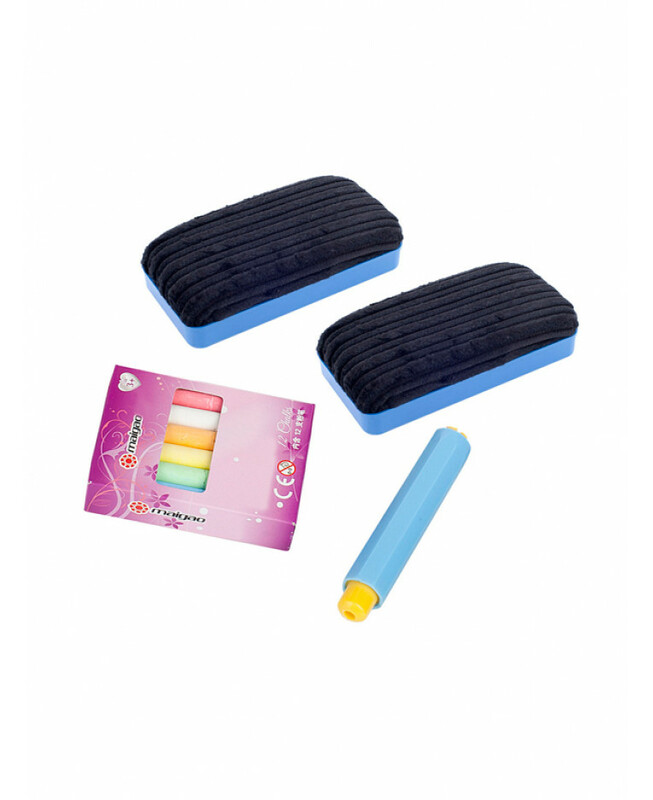 One side has a blackboard for use with chalk whilst the whiteboard side can be used with the dry erase pens provided. 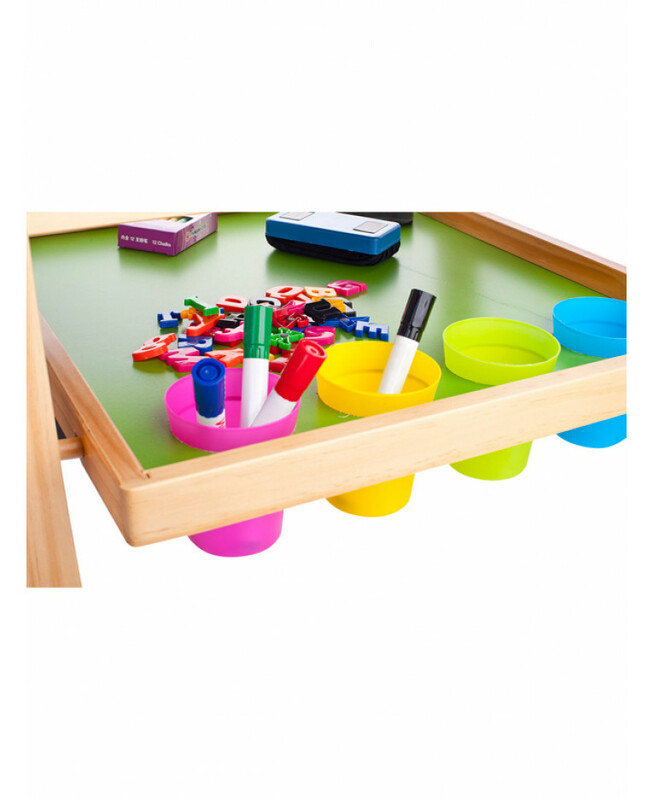 As both the black and white board sides are magnetic, you could also use the magnets included in your accessory pack to attached paper for painting and drawing. 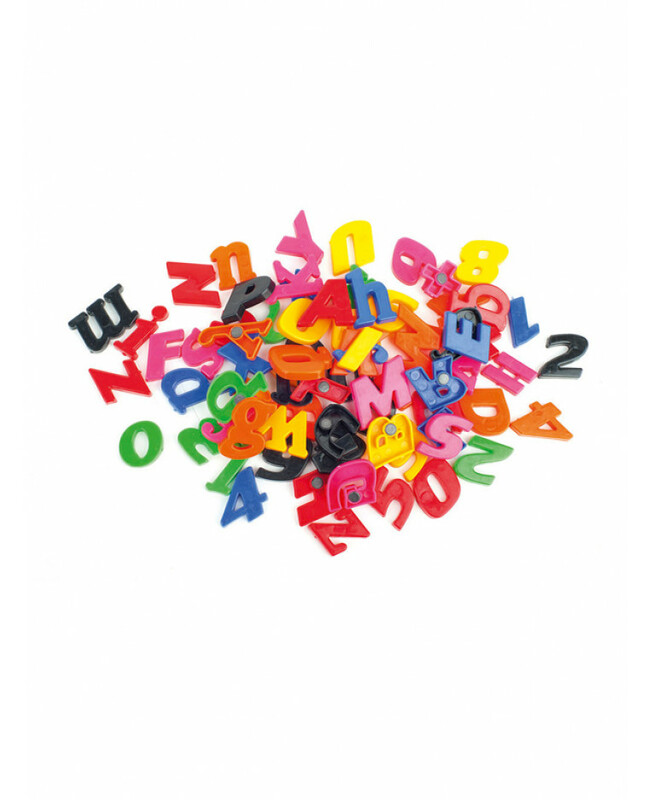 Each accessory set also includes a huge selection of educational magnetic letters, numbers and symbols, coloured chalks, dry erase pens and erasers plus a magnetic ruler. 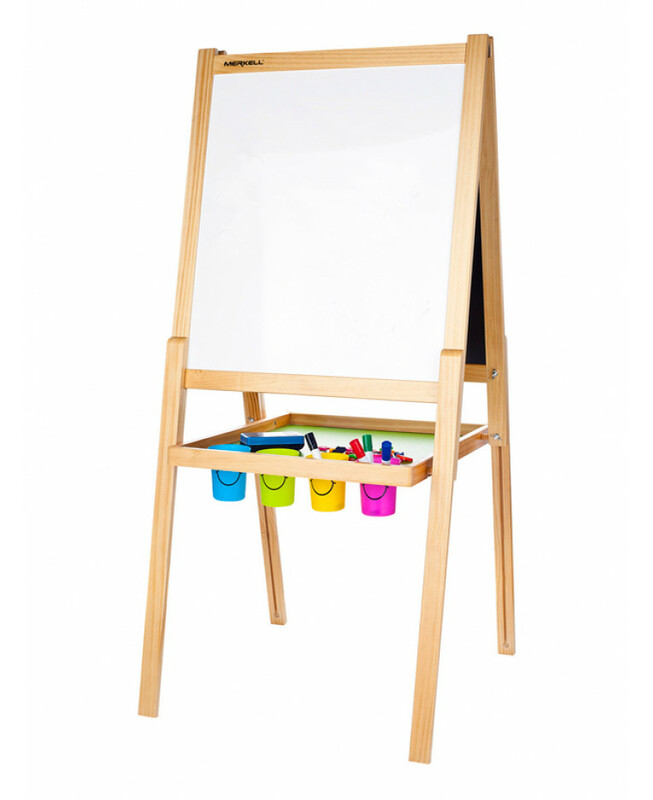 The easel also has a shelf for storage and cups to organise all your accessories. What's more the easel can be adjusted in height to grow with your child and lowered again for younger siblings.